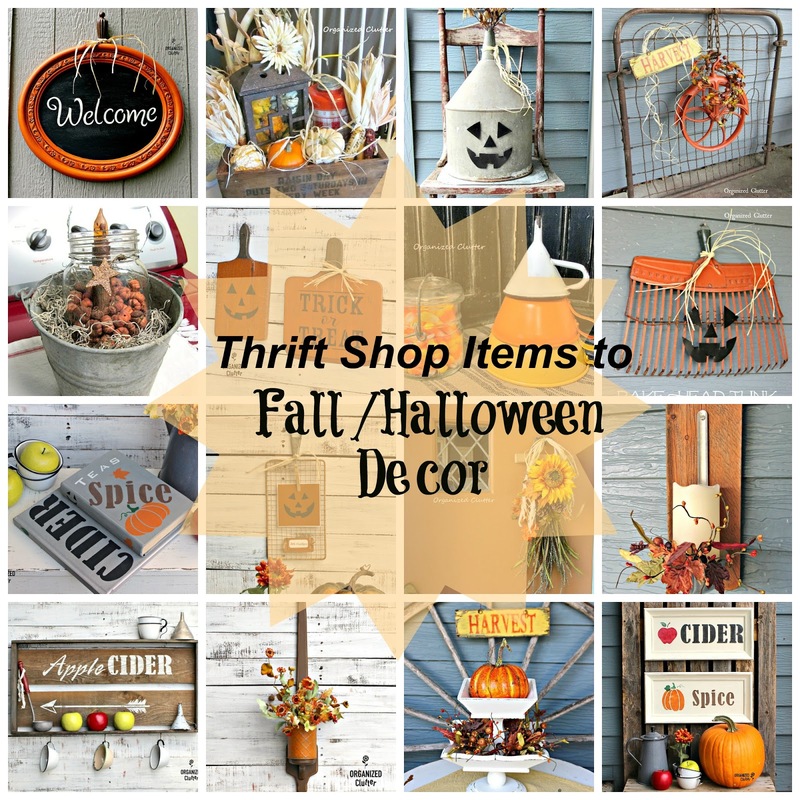 Today I put together a round up of my past and present fall/autumn/Halloween projects and decorating ideas over the years. The first project is an oldie! 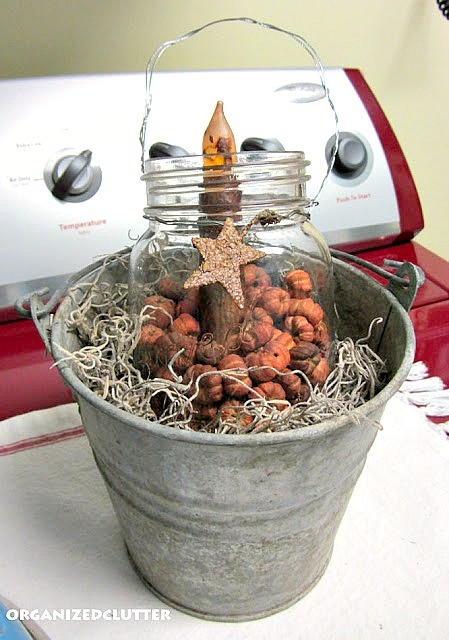 This Rustic Fall Candle Jar was inspired by a catalog. Click the links to see the details! You may remember some of them. Here is a Double Decker Thrift Shop Wooden Bowl Display made from two wooden thrift shop bowls. 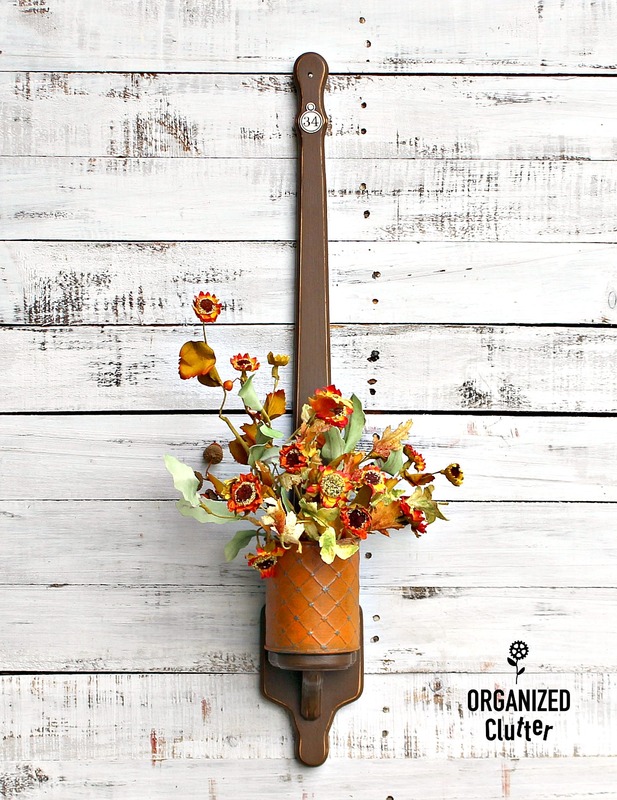 A Trouser Hanger Fall Swag made with an easily found trouser hanger. Add foliage and putka pods to create a Fall Oil Lamp display. Here is a Funnel Candy Corn from re-purposed funnels. This Barn Wood Pumpkin & Ladle Project was one of my fall favorites. 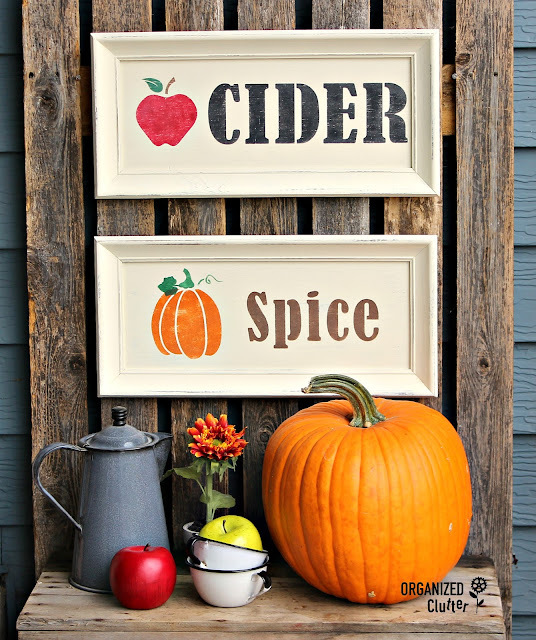 An easy Garage Sale Mirror to Pumpkin Sign! 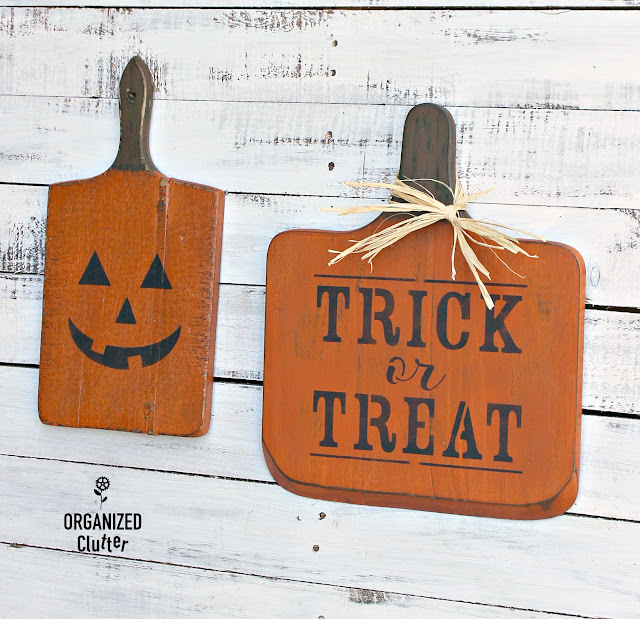 A Kitchen Safety Grater to Fall/Halloween Decor! 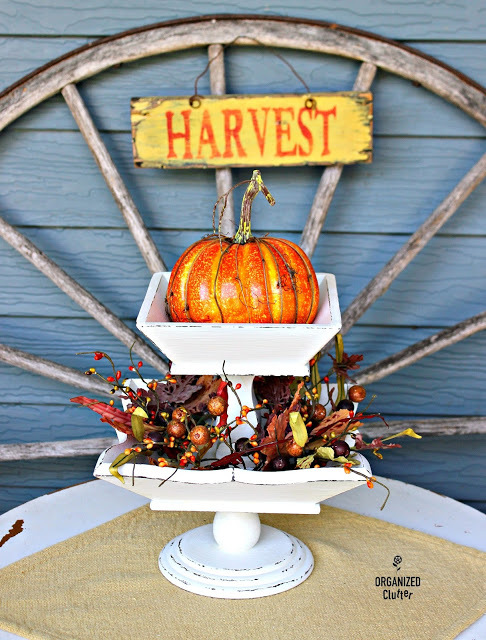 Gather your fall decor into Fall Rustic Crate Vignette. A Shovel Head Fall Sign without a stencil! 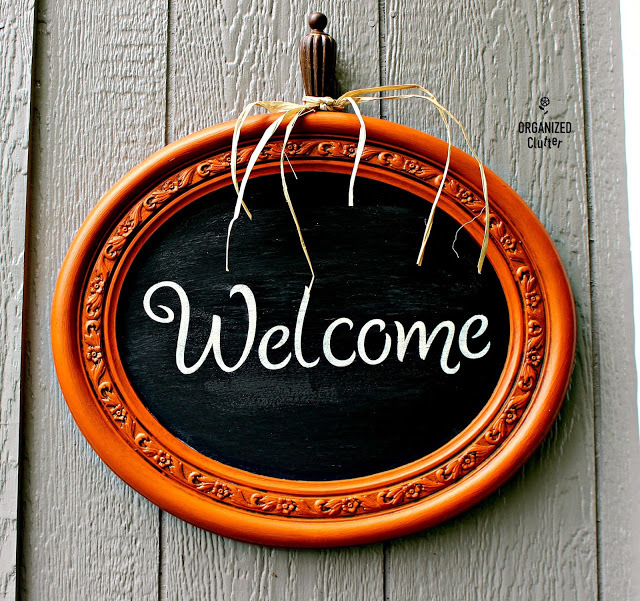 A Fall Pulley Wreath on a gate. An easy Rake Head Jack o'Lantern from an orange rake head find. Funnels are always fun. Make a Funnel Junk Jack o'Lantern! A Trio of Cake Pan Junk Jack o'Lanterns. An easy thrift shop cake pan project with spray paint and junk drawer stuff. Thrift Shop Books Upcycled As Fall Decor. 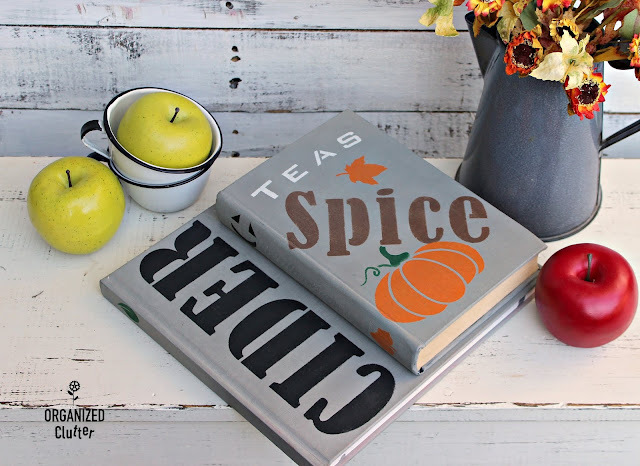 Books are so fun to upcycle as fall decor with paint and stencils. 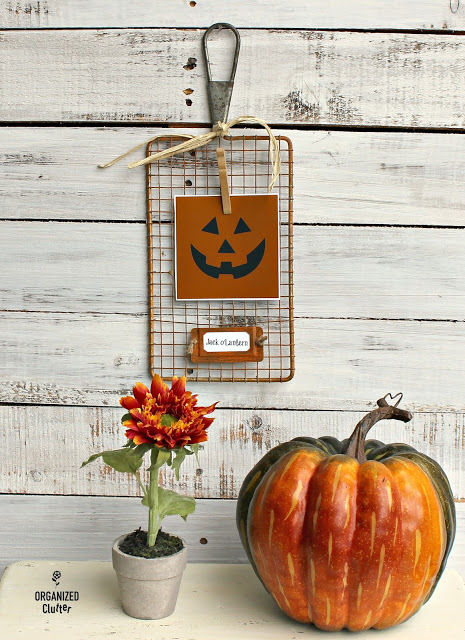 Fall Stenciled Decor with inexpensive frames! 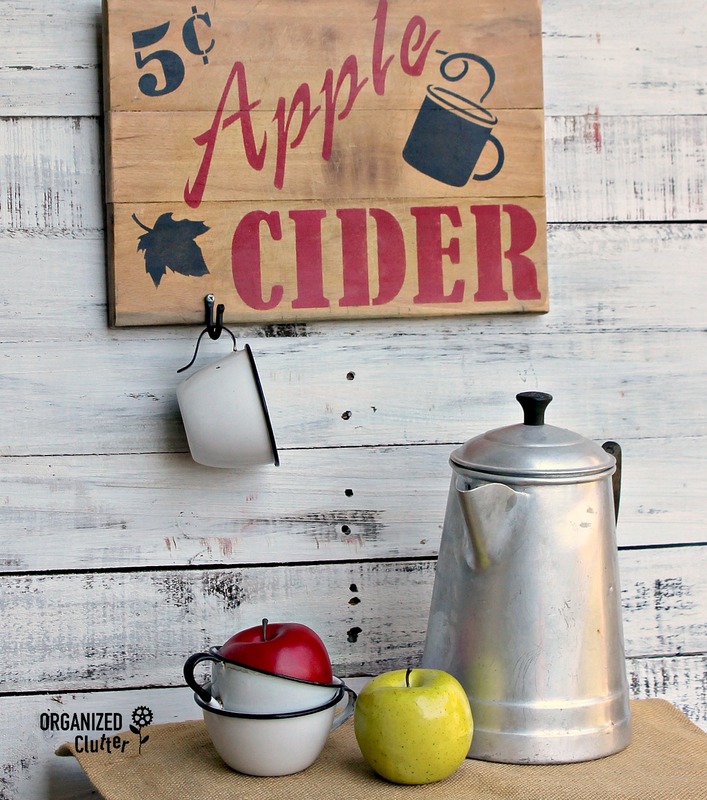 Fall Apple Cider Cutting Board Sign! Cutting boards make great decor. Apple Cider Crate Sign from a garage sale find! 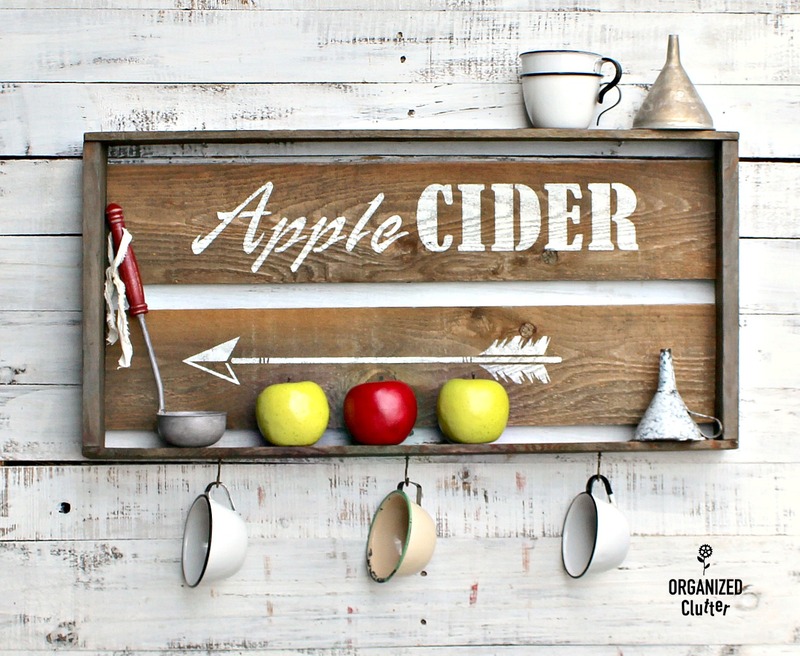 Wooden Candle Sconce Re-Purposed As Fall Decor. Wooden candle sconces are almost always available at the thrift shops! Cutting Boards to Halloween Decor. More cutting board decor! Fall Stenciled Pillows on inexpensive Hobby Lobby pillow covers! Carlene, I left a facebook comment, but want to tell you how much I enjoy your creative ideas! Brilliant. Put your pics and ideas together and write a craft book! Thanks for sharing!